Beansprouts offers a developmentally appropriate curriculum. This means, first, that all aspects of the preschool experience - from classroom materials to planned activities to the rhythm of the school day - are designed to meet the needs and challenge the capacities of young children. Second, this means that the teachers and curriculum are responsive to the personalities, learning styles, family background, and formative experiences of individual children. In every Beansprouts Classroom, children explore a variety of artistic media and techniques through open-minded activities in which the emphasis is on the process, not the product. The curriculum includes painting, drawing, collage, and three-dimensional construction. We especially value the power of art to give children a means to express feelings, tell stories, assert their individuality, and communicate with other children. Art supports pre-literacy development by giving children the capacity to represent and communicate the products of their imagination. Through drawing, painting, and sculpting, children also build their observational and fine-motor skills. 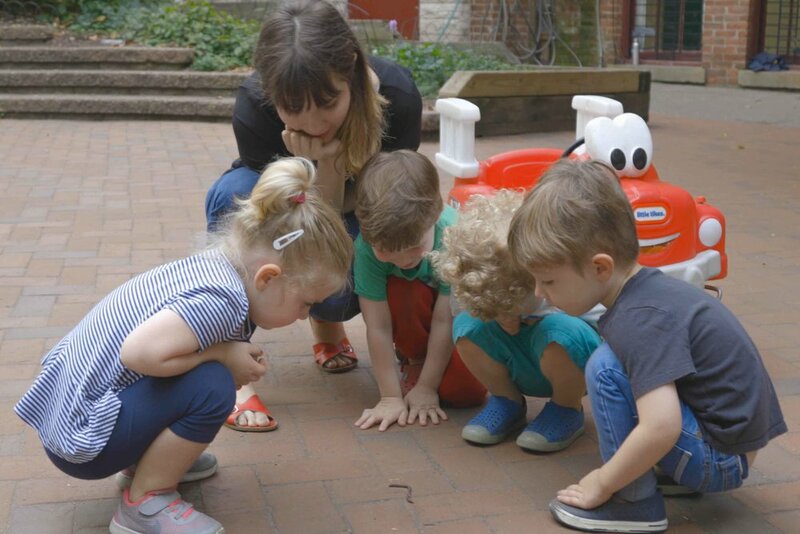 Our developmentally-appropriate curriculum demeans that we teach through children play and through meaningful activities, such as a classroom’s daily routines and the hands-on work of cooking good food, planting seeds, and taking care of earthworms, butterfly larvae, or newborn chicks. Math, science, and social studies content is integrated into the children’s engagement in block building, outdoor exploration, imaginative play, art, Music, dance, and all other aspects of classroom life. We offer a variety of movement classes that are designed to develop children’s strength, flexibility, and self-control, as well as offer children opportunities for creative self-expression. Beansprouts provides expressive dance classes through our partnership with Brooklyn Arts Exchange (BAX) and other community arts organizations and Yoga with a community based Yoga instructor. Since strong verbal language development is the foundation of literacy, our curriculum emphasizes talk - in classroom meetings and casual conversations, to resolve conflicts and . make up stories, to tell jokes and invent rhymes. Teachers read to children every day and engage them in conversation that extends their exploration of materials or their imaginative games. Books are a central part of classroom life, as is everyday print - on calendars, attendance charts, artwork and signs. Children have ample opportunity to experiment with drawing, writing, and telling stories. Our music teachers visit every classroom weekly, bringing in guitars, conga drums, and other instruments, and teaching songs that quickly become a beloved past of the children’s experience. Beansprouts music teachers are talented, accomplished musicians who are dedicated to working with young children. In Beansprouts classrooms, teachers guide children through a hands-on introduction to the scientific method. Chidlren observe, compare, sort hypothesize, test hypotheses, and communicate their findings. Scientific activities may involve water, light, magnets, simple machines, plant life, and insects. Our science projects include watching the metamorphosis of caterpillar to butterfly, larvae to ladybug, tadpoles to frogs, and eggs to chicks! At Beansprouts, children are provided daily opportunities to develop the important skills of cooperating, sharing, helping others, and negotiating with peers.